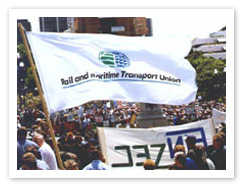 The first class negotiators employed by the RMTU have had years of experience in your industry and are highly skilled in the complex business of industrial bargaining. Our experience in negotiations with transport industry employers over many years enables us to negotiate the best possible employment agreement for you. Authorising the union to act on your behalf in negotiations enables you to benefit from the collective strength of union members organising together. But you have the right to have your say during negotiations, and to vote on any proposed settlement. You have the final say.